Steve Jobs, adopted in infancy by a family in San Francisco, packed a lot of life into fifty-six short years. In this Who Was...? 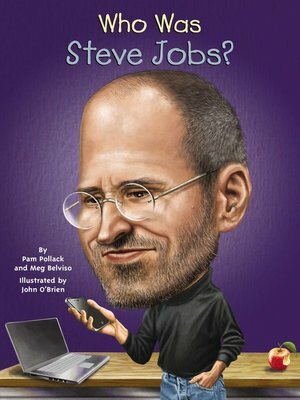 biography, children will learn how his obsession with computers and technology at an early age led him to co-found and run Apple, in addition to turning Pixar into a ground-breaking animation studio. A college dropout, Jobs took unconventional steps in his path to success and inspired the best and the brightest to come with him and "change the world."